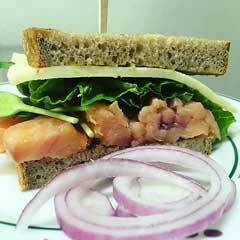 Smoked salmon on buttered white bread with lettuce, capers, onions and creamy Havarti cheese. 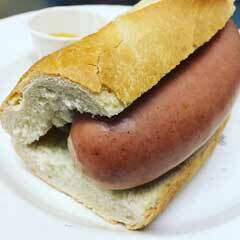 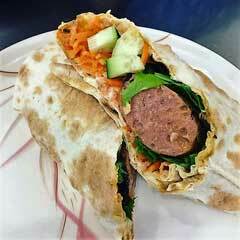 German sausage wrapped in a thin Armenian bread with Korean carrots, vegetable spread, fresh greens, and mayo. 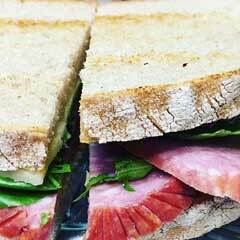 Pork or beef mortadella with pistachios served on rye bread with mayo, mustard, vegetable spread, lettuce, Lithuanian cheese. 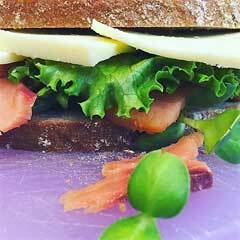 Mildly seasoned soft Estonian salami served on rye bread with mayo, mustard, vegetable spread, lettuce, Lithuanian cheese. 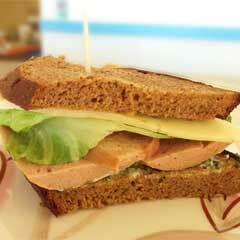 Bologna served on rye bread with mayo, mustard, vegetable spread, lettuce, and Lithuanian cheese. 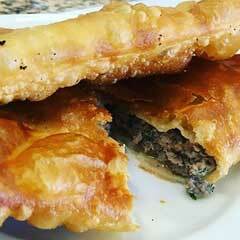 Deep fried meat pie filled with beef, pork, onion, and herbs. 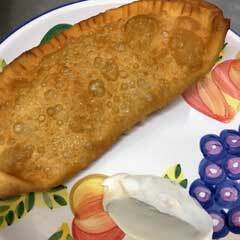 Deep fried pie filled with potatoes and cheese. 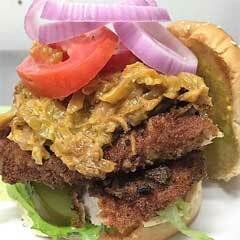 Deep fried pork steak breaded with the homemade rye bread crumbs served on a white hamburger bun with your choice of condiments. 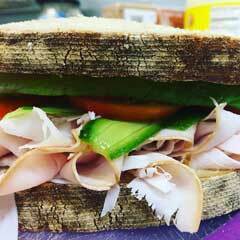 Just choose your bread, cheese, one meat from our deli counter and enjoy your masterpiece. 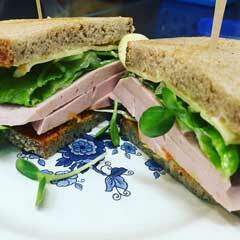 Delicious turkey served on German bread with vegetable spread, Lithuanian cheese and greens. 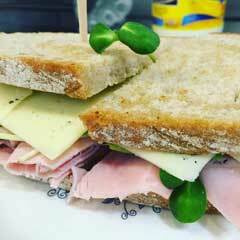 Classic ham and cheese made with Russian style ham, Lithuanian cheese and served on German bread.